The Musee d'Orsay is, hands-down, one of the world's richest and most exciting museums. Its permanent collection houses countless great works by masters of early modern and impressionist art, including Matisse, Monet, Degas, Van Gogh, and Rodin. The museum also curates several major temporary exhibits throughout the year, as well as hosting not-to-be-missed special events. All of these reasons account for why this museum regularly tops the list of Paris's most interesting attractions. But like any top-notch collection, the Orsay can be overwhelming to visit. Use these strategies to make your visit as enriching and entertaining as possible. Click through to see all our advice. While the Musee d'Orsay is tiny compared to the Louvre, the permanent collection spans four floors and several important periods. Focus your visit! Get a sense of how the collection is laid out, familiarize yourself with some of the key artists featured at Orsay, and then plan to spend more time on a selected period or set of artists. You're guaranteed to come away from your visit feeling as if you truly "encountered" some of the works-- and you'll also avoid sensory overload. There are separate entries for individuals, groups, and members or professionals outside the museum. Avoid wasting time by getting in the right line. If you're visiting the Orsay for the first time, one of the best ways to get an exciting overview of the periods and artists featured at the museum is to take a guided tour. The museum offers tours to individuals and groups. Note that tours are offered on selective days subject to change. The Orsay Masterpiece Tour provides visitors with a 1.5 hour overview of the permanent collections. The 19th Century Art Tour is more focused and allows visitors to gain greater insight into 19th century artistic movements. If you want to dig deeper into featured artists and periods, this tour is for you. 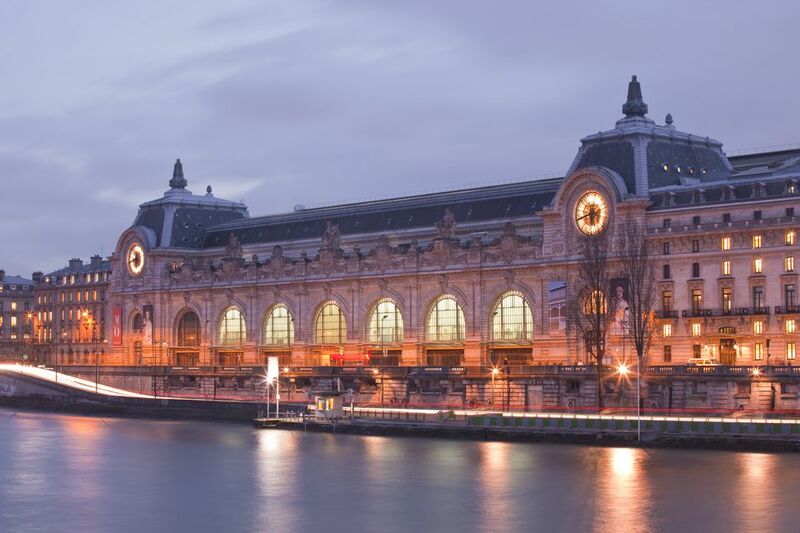 The permanent collection at the Orsay may be what draws visitors in droves, but there's much more to see if you want to stretch your visit into a whole day. The museum regularly curates major temporary exhibits on important artists and movements from the period 1848-1914, giving visitors fresh insight into the exciting developments of the 19th century. In addition to temporary exhibits, Orsay regularly programs special events like concerts, film screenings and festivals, and art-inspired shows.